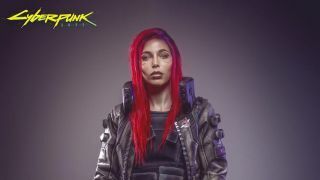 Cyberpunk 2077 looks better and better every time we see it. In a new interview with our sister site PC Gamer, developer CD Projekt Red detailed how Cyberpunk's world, the glamorous and diverse Night City, integrates and builds on lessons learned from The Witcher 3, most notably in its storytelling. Night City is split into six distinct districts, and according to writer Stanislaw Swiecicki, the city's cyberpunk theme is accented by Californian vibes, with each district dyed in a different culture. These districts are also brought to life by semi-procedurally generated NPCs which all but prevent repeated character models, as well as finely detailed animations made to account for Cyberpunk's first-person perspective. "The third-person camera in The Witcher floated slightly above NPCs, which we took into account when animating them," said lead cinematic animator Maciej Pietras. "But now you can really look at what they’re doing up close, and we’ve improved the animation to reflect this. When we animate characters, even the NPCs, we think about their personality and their past. The way they move or something in their face might reveal something about them … You can get close to people now, and this new tech lets us pick out more subtle details in the faces." In a similar vein, CD Projekt Red says Cyberpunk's side quests exist to serve the story and world, not to pad it out. Not only that, the studio is targeting side quests with production values "as high as, or close to, the critical path." The idea of a throw-away fetch quest is unacceptable, quest designer Patrick Mills said. Mills also offered an example of how Cyberpunk's organic quests will work. "Our open world team is constantly filling the city with little events that can feed into quests," he told PC Gamer. "You’ll see some dudes on the street, and eavesdropping might lead to a quest. Or maybe because you talked to them, you might see them a couple of hours later in another quest and get some reactivity there." Mills added that, "a quest has to have something you've never seen before." You can read PC Gamer's full talk with CD Projekt Red here. Read up on Night City's fixers, ripperdocs, and psychogangs in our preview of its E3 2018 demo.